Beebo and Xman first learned a lesson in energy consumption when we bought our off-grid cabin. The only power source were two teeny tiny solar panels of approximately 80 watts each. The power generated by these panels was used for emergency lighting and pressurization of the water system. Most evenings at the cabin were spent by candlelight, unless we plugged in the gasoline powered generator; however, the generator equals noise in the quiet woods, but it did allow for some movie watching or for power tool usage. 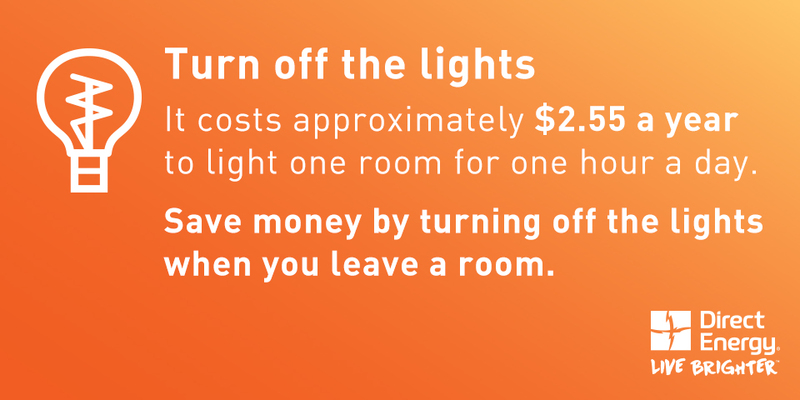 Not keeping an eye on your energy efficiency by doing things like leaving lights on all day can definitely get costly, and until that moment when the bill arrives, energy use has been taken for granted. It’s amazing how doing simple things like having your furnace checked before winter can help you save money too. 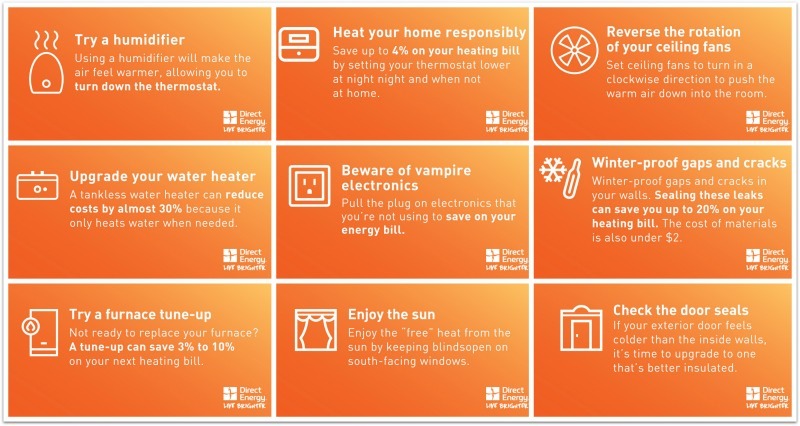 We are fortunate to have such luxury in our lives, but as Albertans brace themselves for another long, cold winter, Direct Energy is eager to provide homeowners with a few simple steps they can implement to reduce their use and to save in the long run. In fact, Direct Energy is the only energy company that wants its customers to buy less of what it sells. Click on the image to ENLARGE and feel free to PRINT these tips! We live in a fairly new house, so winterizing our home this year wasn’t too bad. But thinking back to the house we moved from, these energy saving tips would have meant lots of extra money in our pockets! 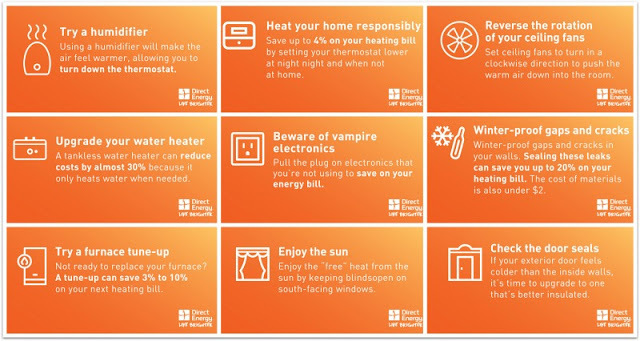 Direct Energy’s $9.99 Home Services plan. Disclaimer: Direct Energy is one of North America’s largest energy and energy-related services providers with nearly five million residential and commercial customers. They strongly encourage you to use less of their services and we were more than happy to spread the word!